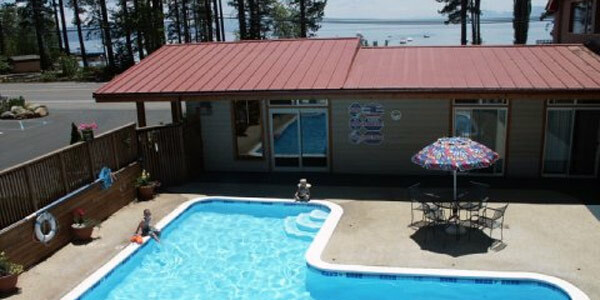 Great north shore Lake Tahoe location across from a sandy beach and marina. Two Diamond AAA rated- hot spa and seasonal pool. Continental breakfast. Close to best Tahoe ski areas. Discount ski passes.Ski shuttle to Squaw Valley USA- North star-at-Tahoe and Alpine Meadows ski resorts. 26 rooms- two story- most rooms with lake view. All non-smoking rooms include free wireless internet- CTV- phone- microwave oven- refrigerator- coffee maker and hairdryer.